Northwest corner of the tower and the World Trade Center site from West Street. 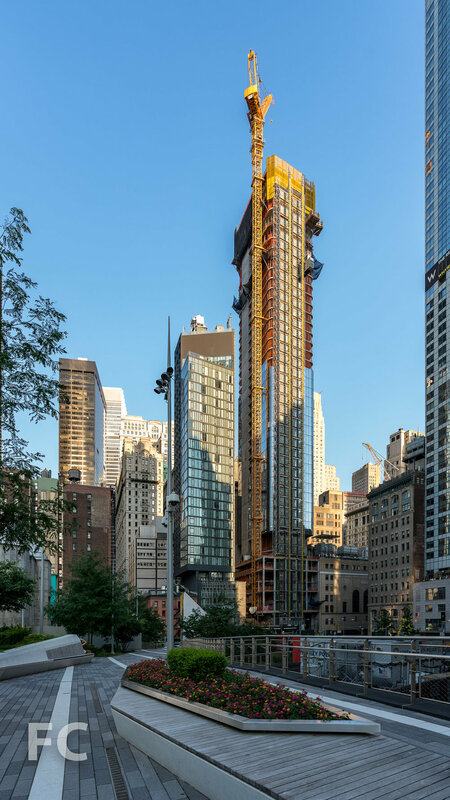 Superstructure is rising at 125 Greenwich Street, the 88-story, 912-foot-tall luxury condominium tower in Lower Manhattan from Bizzi & Partners Development. 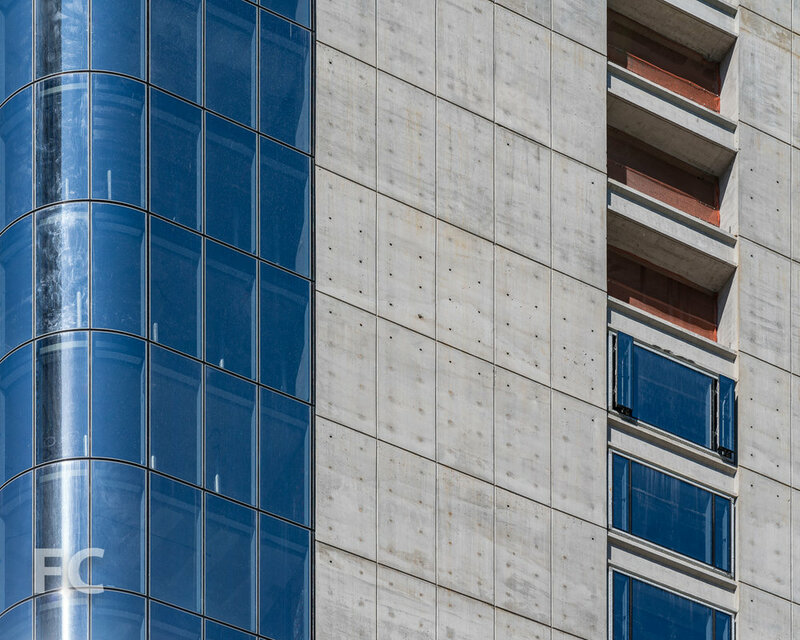 Designed by Rafael Vinoly Architects, the tall, slender tower features an exposed structural concrete wall at the north and south facades, with floor-to-ceiling glass cladding the east and west facades. 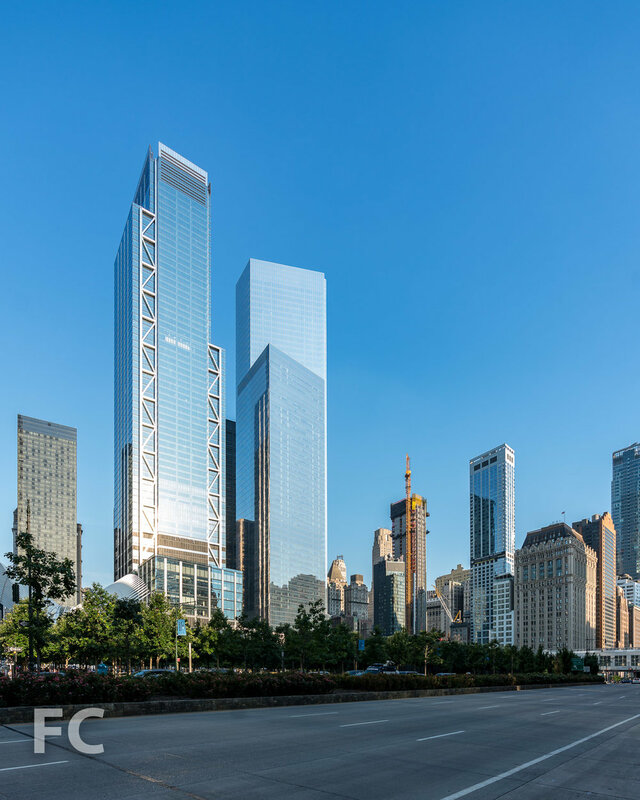 Curved glass panels clad the tower's four corners, allowing for panoramic views of Lower Manhattan, including the World Trade Center site. 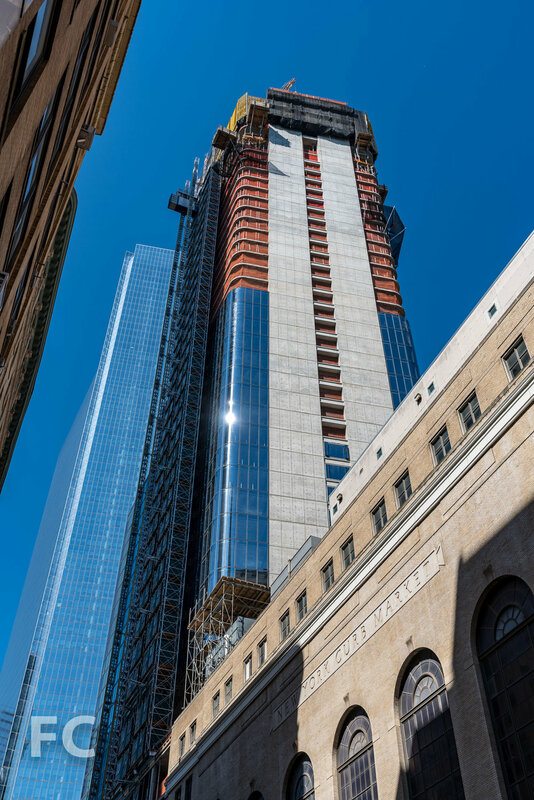 Currently, the tower's superstructure is nearing the half-way mark, while curtain wall installation is nearing the one-third mark. Northwest corner of the tower from the 9/11 Memorial. Close-up of the northwest corner with curtain wall installed. West facade from Liberty Park. Looking up at the west facade from Greenwich Street. Close-up of the southeast corner of the tower. Looking up at the southwest corner of the tower. Framing out the slab of the 45th floor. View of the World Trade Center site from the tower. View north from the tower. When completed, the tower will offer 273 units ranging from studios to three-bedroom condominium residences. Interiors are designed by March & White, the firm's first large-scale residential development in the United States. Residents will have access to 15,000-square-feet of lifestyle and wellness amenities in a residents-only, private club called The 88, located on the top three floors of the tower. Lifestyle amenities will include a resident lounge, a screening room, and a private dining room for a seated party of 10. Wellness amenities will include a 50' lap pool with poolside chaise lounges, men's and women's locker rooms, spa, relaxation lounge, and a fully equipped fitness center with 24-hour access. 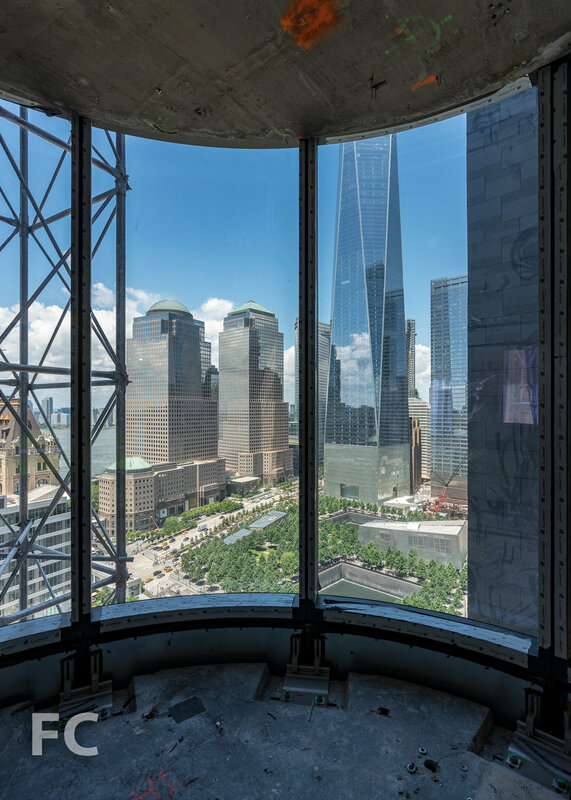 Looking towards the World Trade Center site from the curtain wall installed on the 25th floor. Looking towards the east from the curtain wall installed on the 25th floor. Curtain wall panel awaiting installation at the northeast corner of the tower. Window installed at the south concrete wall. 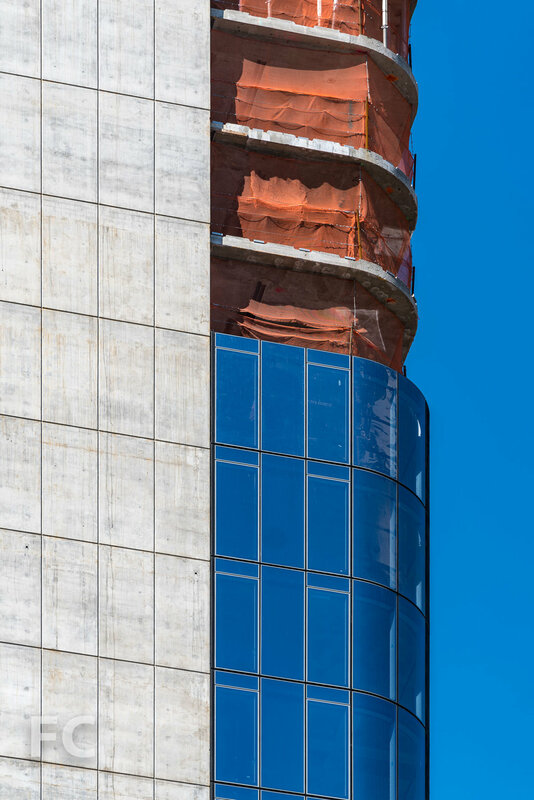 Close-up of the curtain wall and windows installed on the south facade. Architect: Rafael Vinoly Architects; Interiors: March & White; Developer: Bizzi & Partners Development; Program: Residential Condo; Location: Lower Manhattan, New York, NY; Completion: 2019.